My first morning in Ban Natane, I woke up with the sun and the roosters. It isn’t saying much—it could have happened somewhere in the States—but it was still a first for me. The morning was misty and, as I sat up and peered through my mosquito net, I could see out the open-air common room into the dirt paths of the village, the common room of the next house over, where the TV already blared and the family sat on the floor around a metal table of steaming bowls. The day had begun. I’d had to sleep with ear plugs. 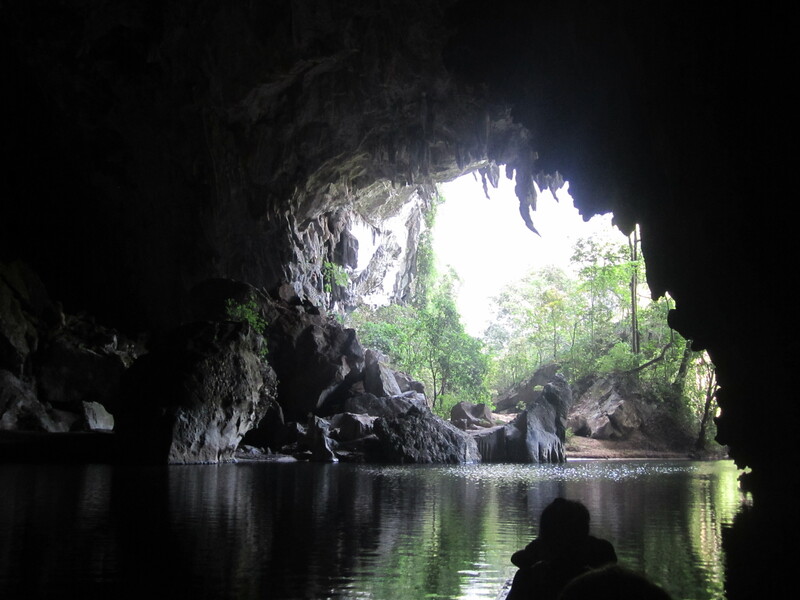 I’d become accustomed in SE Asia to geckos bellowing and incests buzzing, but I wasn’t used to the noise of the village: animals snorting, grunting, squawking, chirping, thunder booming and rain drumming. 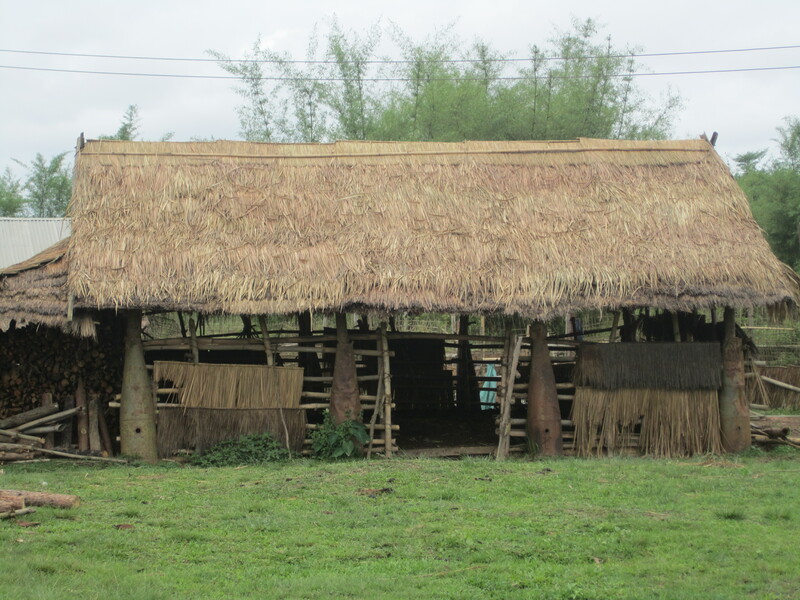 The houses are all open in the village—no windows or glass to enclose things—so you could also hear the neighbors talking. There were less filters, less divisions, more of a meshing of life, I thought as I crawled off my cot. I poured a cloudy glass of water that had been boiled and purified with local herbs, and swallowed my malaria pills. 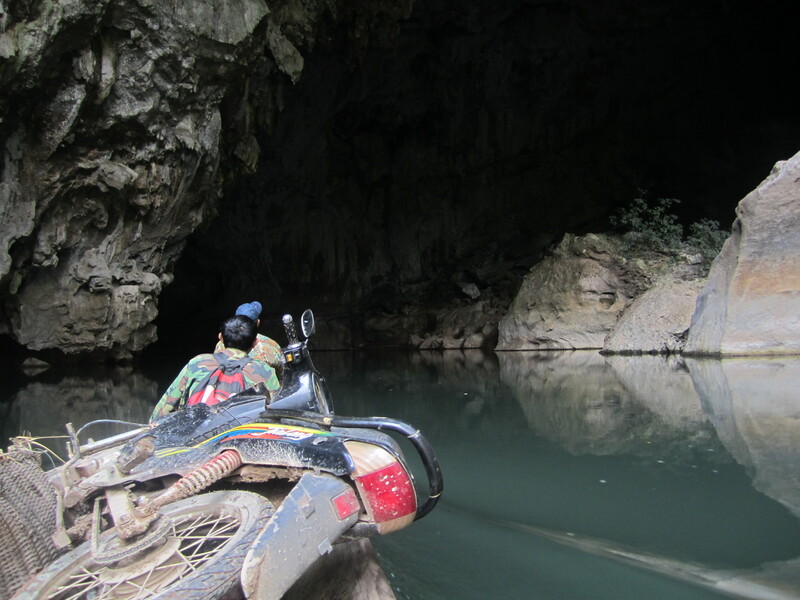 I’d had plans to ride a hand tractor, then hike an hour out to a river, possibly visit some caves. “Too much rain,” Pauline’s supervisor—whose name I could never get straight—told me over our breakfast of sticky rice and more frog. 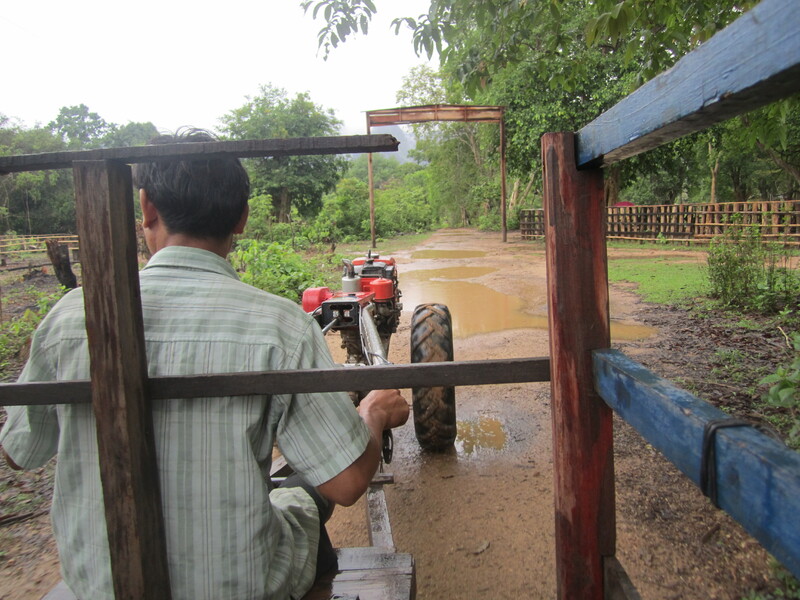 It was determined, as we dipped clumps of rice into red chili paste, that I would instead ride a hand tractor around to the check out the neighboring villages. I suppose what struck me most was how much life there was, how much constant movement. 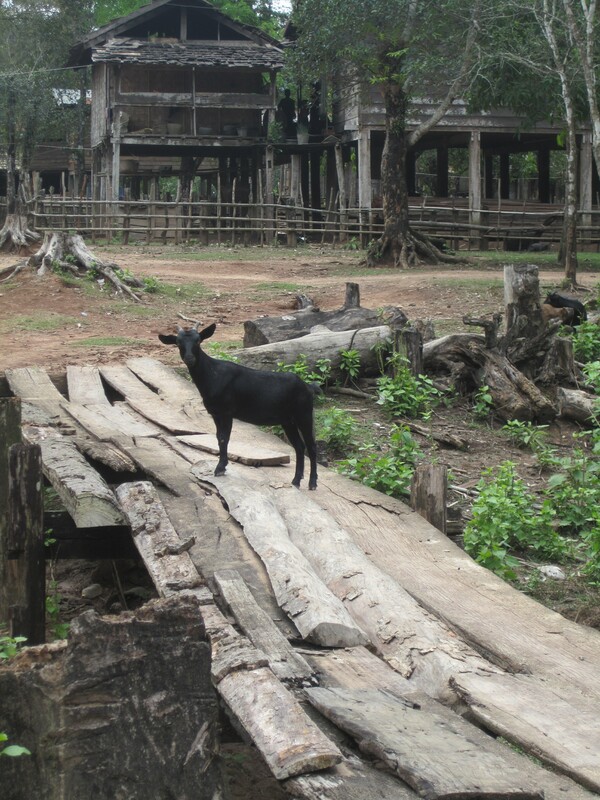 It wasn’t exciting like a city, but there was this constant bustle, animals and people, babies of different species. It was intoxicating—I felt like I could sit for hours and just watch it pass. Again, there seemed to be less divisions: the pig that snorted around today, for instance, could just as easily be dinner tomorrow. Even the land see more involved, more implicated, more imminently a part of life. We talk a lot about sustainable living in the West, but this was the real deal. It wasn’t ideal—there was plenty of trash strewn about, mostly wrappers for the products transported through the cave, and other trash, people still burned. But it was the closest I’d ever seen. I tried not to watch as her family members brought a glass of the murky, purified water to her lips, as they rolled her over, readjusted her pillows. 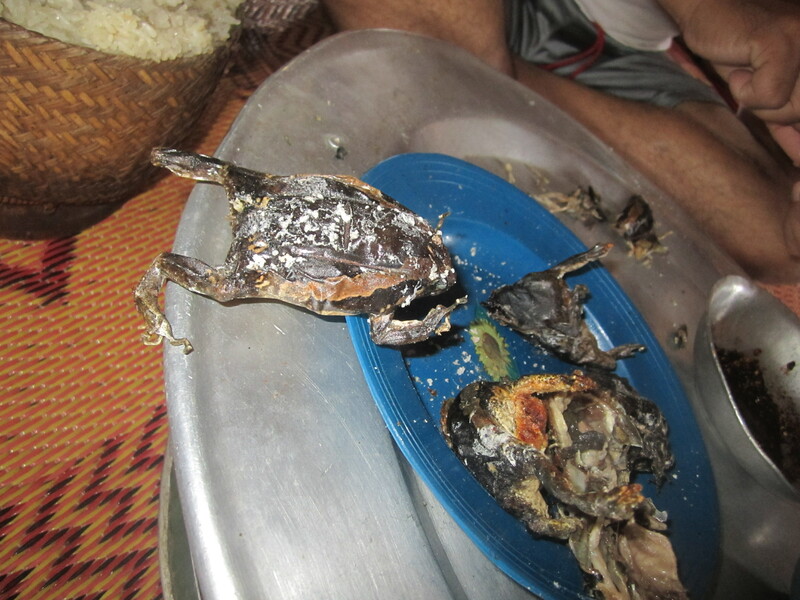 I stared at my frog lunch. 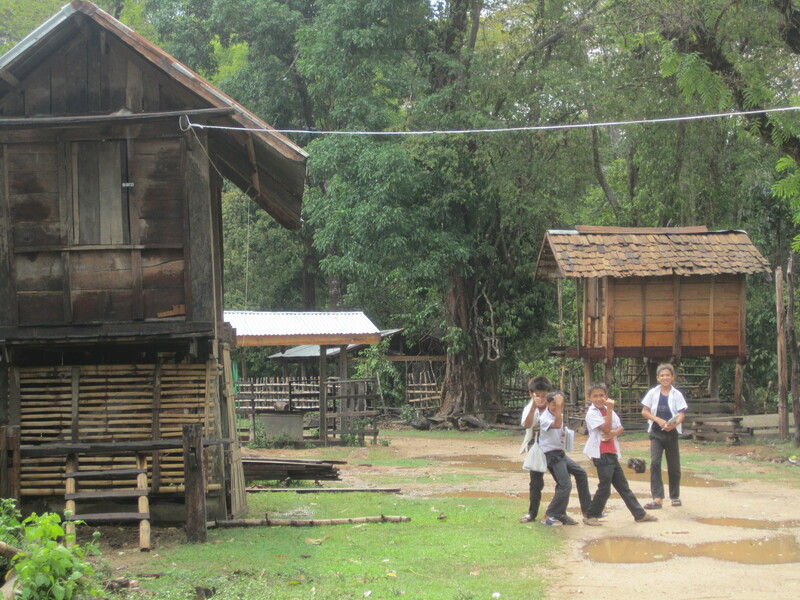 These villages were traditional, isolated—and this was part of that too. It wasn’t just the agrarian ideal, the simple life; people here were also poor, didn’t have access to the arguably good aspects of modern life, like health care. It was all fascinating, intoxicating for me, glimpsing in for a few days—but this was these people’s lives. And this, too, was what it looked like. 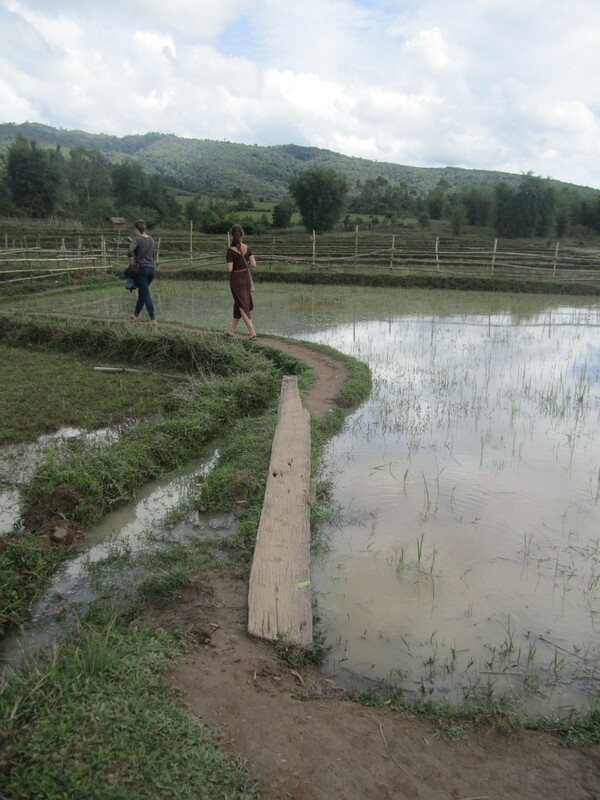 Later that afternoon, I walked down to the stream by Ban Natane with Pauline. It was where locals bathe, wash clothes, where boys clutch bows and arrows shoot them into the water, actually managing to catch some fish. 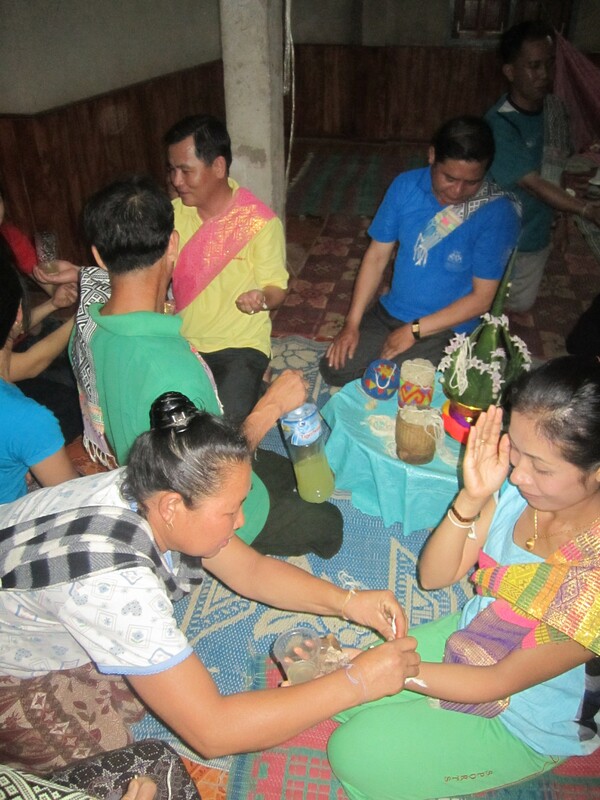 Pauline laid down on the shallow rocks—clothed, as they do in Laos—and let the water run over her. 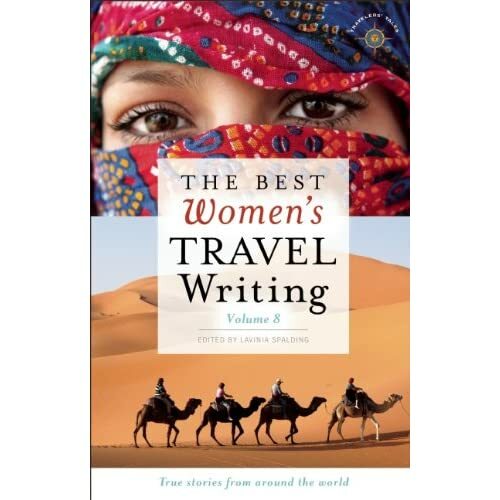 “All the people I interview,” she told me, “they all want the tourism. They think it will be a good thing.” She looked over at the boys fishing. “But I’m not so sure. I think they will lose their way of life.” It had already happened, already begun, with the introduction of TV a few months earlier. We talked for a long time about it—about the preservation and loss of culture, about isolation and poverty, about the role of outsiders and tourism, whether it ever does any good or not. I thought of a story I’d heard once, about some now-famous Greek statue that was discovered by Englishmen or Frenchmen, the locals unaware of how valuable and precious it was. They were going to smash it, until the explorers stopped them. I couldn’t remember the name of the statue, or where I heard the story or if it was even true or not. But I thought of broken-off noses and missing limbs in European museums, and wondered if the sanctity of some things might be seen better by outsiders, who have more of world to compare it to. But again, I thought of the woman on the cot, barely moving. I thought of the earthy taste of the purified water, imagined that taste in her mouth as well as mine. “There is not an easy answer, I think,” Pauline said, as the water ran over her clothed limbs. It was really not the time to be thinking of Charles Bukowski. 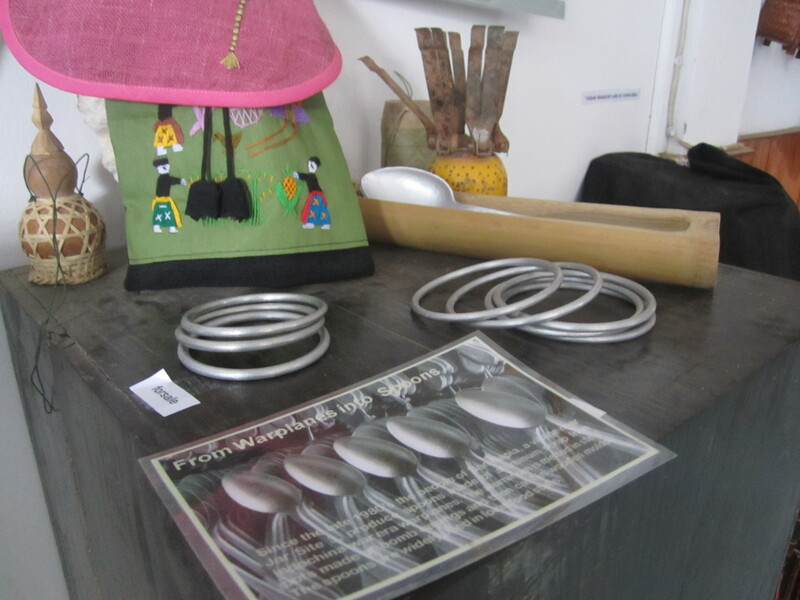 I stood staring at a display of UXO casings at a Phonsavan tour company. I was thinking of the documentary I’d seen the night before (see previous post), which followed a group of impoverished Lao children as they harvested UXOs for scrap metal. Something panged in me, and I thought of the poem. 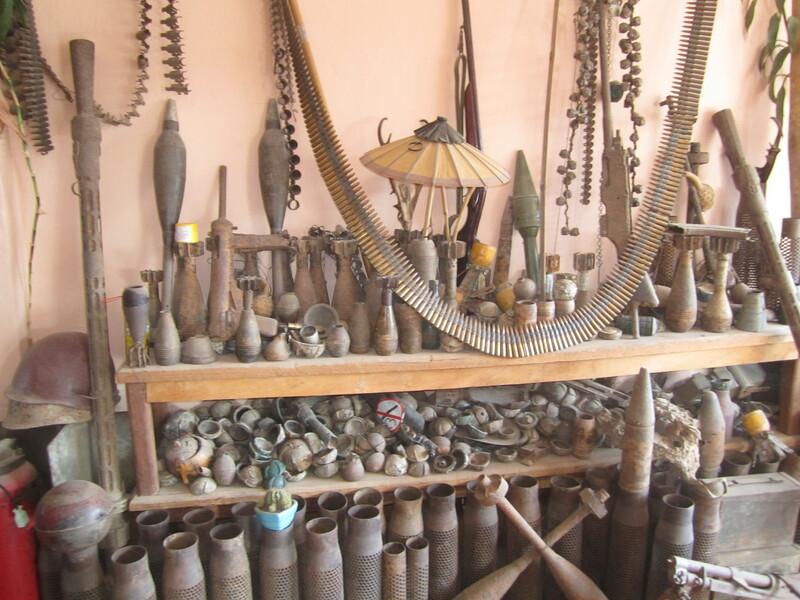 It was the same something I’d felt at the War Remnants Museum in Saigon. 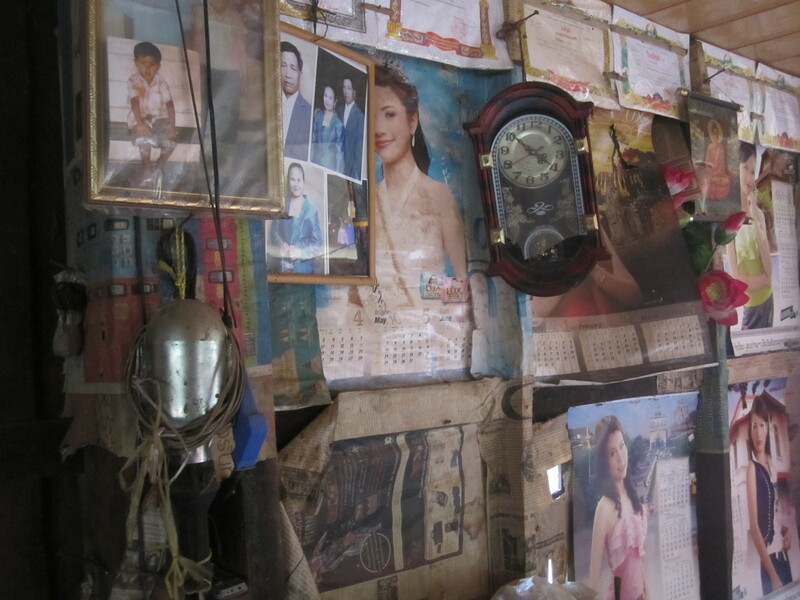 I stood before pictures of children born with mutations from Agent Orange—small and crippled and bubble-skinned—children who’d been born after the war, hadn’t lived through the war, but who had it in them, possessed it in their DNA. If the images hadn’t been so brutal, I’d thought, they’d have been a metaphor for the intergenerational transmission of trauma. I’d been surprised in Vietnam, to discover how much of the war I’d carried in me, without knowing it. I hadn’t realized how much a part of American culture the Vietnam War is—in our books, our films, our movies and our freeway exits, cardboard signs and thousand-yard stares. I’d remembered, suddenly, visiting the Vietnam War Memorial in Washington DC as a teenager—muggy-skied and sweating, watching the grown-ups trace hands along the reflective stone, place flowers and cry—not understanding it. I’d turned; my mom had been one of them, the name of her cousin under her fingers. And I’d suddenly remembered the poem. It’s more muddled in Cambodia and Laos, places were the American activity was “secret”—it’s less a part of your consciousness, more a part of something else that you can’t quite name. We sat beside each other waiting for our numbers to be called at the cell phone shop. Neither of us had been alive during the 70s. And looking at the pile of UXOs in Phonsavan, I had the same thought rise. Because the kids out there harvesting these bombs, they weren’t born yet either. Neither of us asked for this, did this, witnessed this, lived through this. 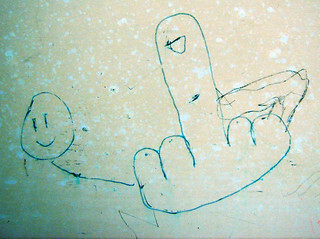 We were born into this, are left to figure out what to do with this, dig through the dirt of this. And that’s when I thought of the poem again. I’ve been composing some kind of essay in the back of my head about all this. I don’t know exactly what I have to say about it yet, or if there is anything to say about it. But in the meantime, I’m thinking of a poem that seems fitting. And, in the light of the recent string of natural and political disasters, doesn’t seem so dramatic or fanciful as it once did. It doesn’t feel so hopeless either—it just feels accurate. On a small stand in the Phonsavan tourism office, bracelets are for sale. So is flatware. 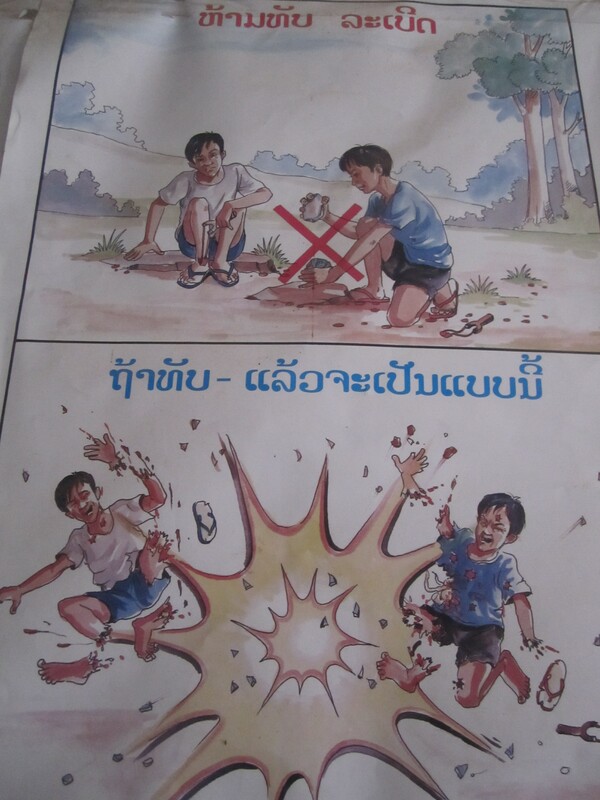 They sit beside a postcard that reads “Make Spoons Not War.” Beside cartoon posters depicting the Dos and Don’ts of respectable Lao tourism, posted leaflets encourage you to purchase items made by villages out of metal scraped from the UXOs (unexploded ordinances) that continue to claim lives and limbs. From tragedy to hope, a brighter future for impoverished locals—your tourist dollars can make a difference. 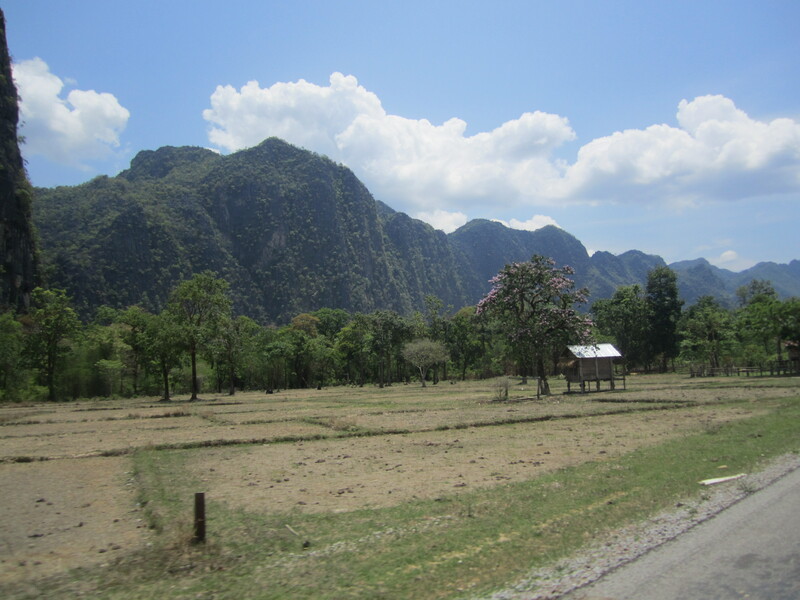 Phonsavan is an emerging tourist destination in Northern Laos. Its only draw is the scars of enigmatic history: a landscape scattered of mysterious, 2000-year-old stone jars (think Stonehenge in circular formation), and bomb craters and UXOs. The juxtaposition has, in the last few years, landed the grizzlied town on the independent traveler route, with broader tourism looming ahead like the black storm clouds of an early rainy season. For now, the town remains rough-and-tumble and charm-challenged. A series of squalid guesthouses line its one sidewalked road. A handful of tour offices litter the same road. It’s the kind of place where you arrive, in a mid-afternoon downpour that muddies your shoes and seeps through your backpack, and think—Get In, Get Out, Get Gone. I spent the rest of the afternoon wandering around the town. 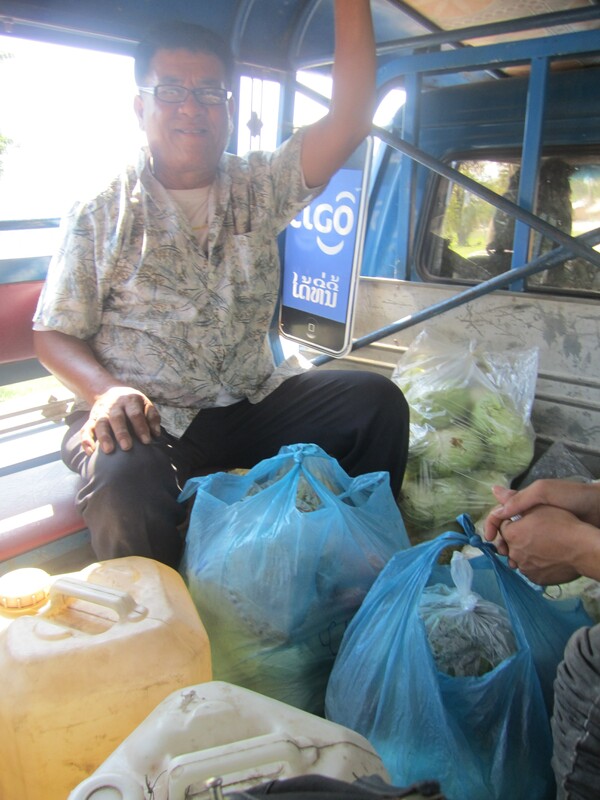 I cruised the local market, bought some rice-paper rolls and steamed greens; the hunched old woman smiled at me and refused money for the greens. I passed Craters Restaurant; decidedly Western, it had a makeshift fence of UXO shells. It felt cheeky, performative, self-conscious—something about it didn’t sit right. But I hadn’t had my requisite three fruit shakes that day, so I sat down and watched the traffic pass. Across the street, the sign for MAG peeked through the bomb-shell fence. 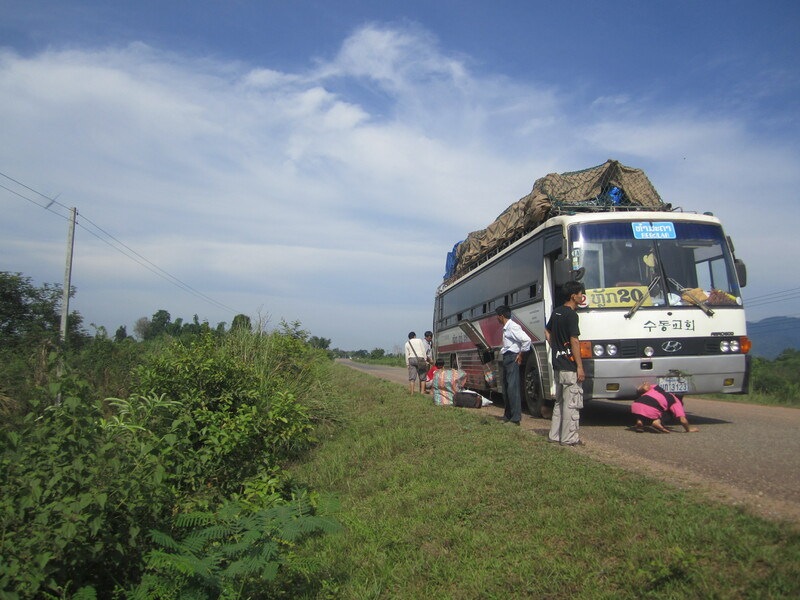 The most prominent UXO-clearing agency in Laos, MAG works both to defuse and remove UXOs, and educate local communities about their dangers. They screen a few documentaries on a small TV set every evening; I left Craters and went to watch that night’s showing of Bomb Harvest. The documentary traces the work of MAG. 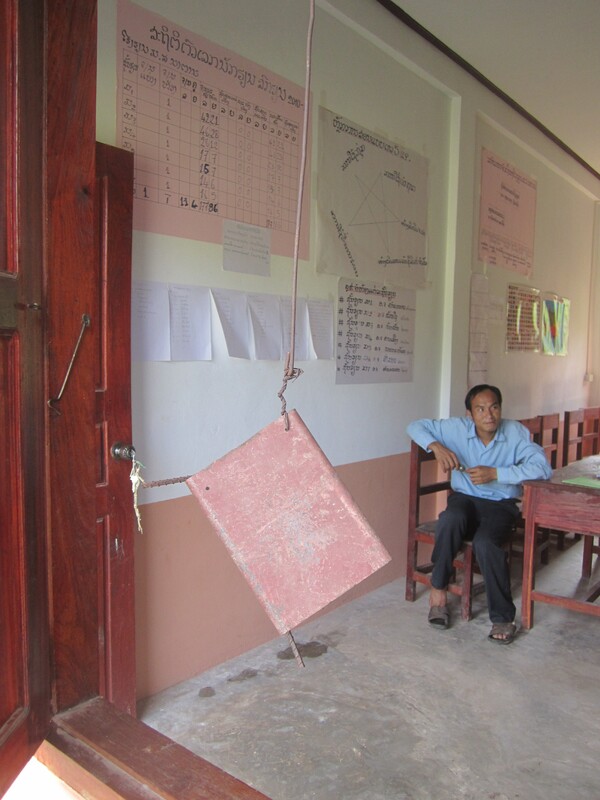 It’s somewhat sensationalist and self-congratulatory (“In bomb disposal, you only make one mistake”), but overall the film achieves a really good end: educating people on the realities of UXOs in Laos today. I’d known they existed; I had more than a passing familiarity with the devastation of US secret bombing in the country. And I knew that UXOs continued to kill and maim people throughout Laos. What I didn’t know was that scrap metal had become the new cash crop. And tourism, I’d discover the next day, was fueling it. 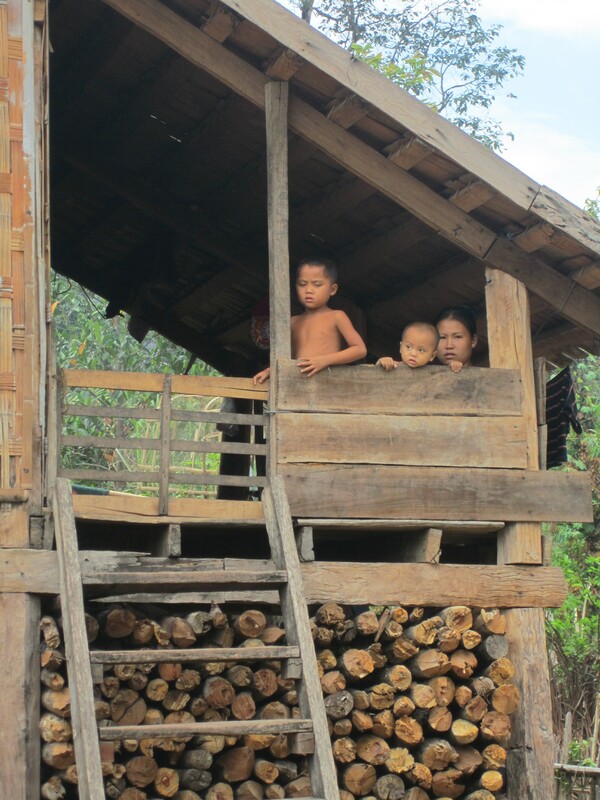 The basic story is this: in a country as poor as Laos, a lot of subsistence farmers struggle to feed themselves. The scrap metal peeled from UXOs fetches a fair dollar—some $100 for large casings. It may not sound like a lot to risk your life for, but when you don’t have enough to eat, your life is risked already. Despite public education campaigns, people continue to harvest and sell UXOs—many of them children. 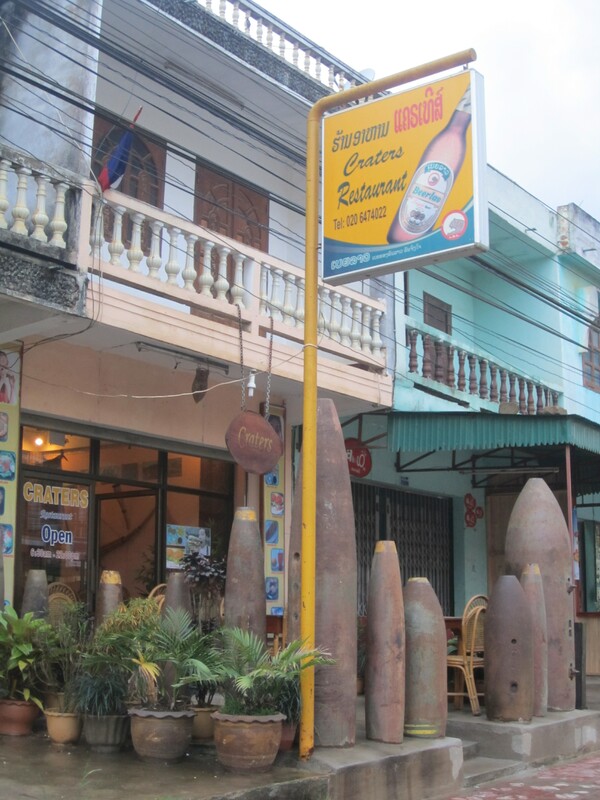 In addition to selling scrap metal, locals began to use casings for planter boxes and building supports. 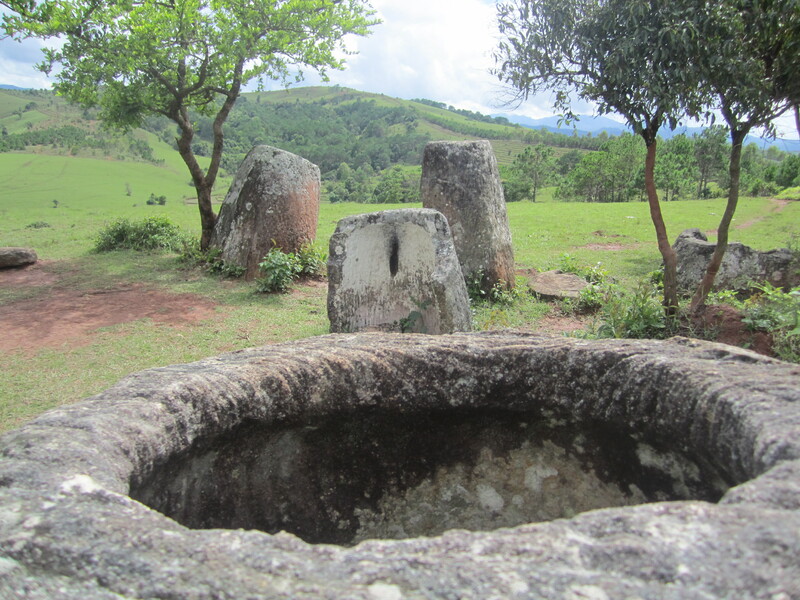 As tourism trickled in to the Plain of Jars sites, Westerners were charmed with the aesthetic and ingenuity of this repurposing. Tourist-geared establishments are now getting on the bandwagon. With this backdrop, I eyed the scrap metal bracelets carefully. I liked the idea of them, liked the feel of the dented metal and the notion that I could both accessorize and ease my American guilt. 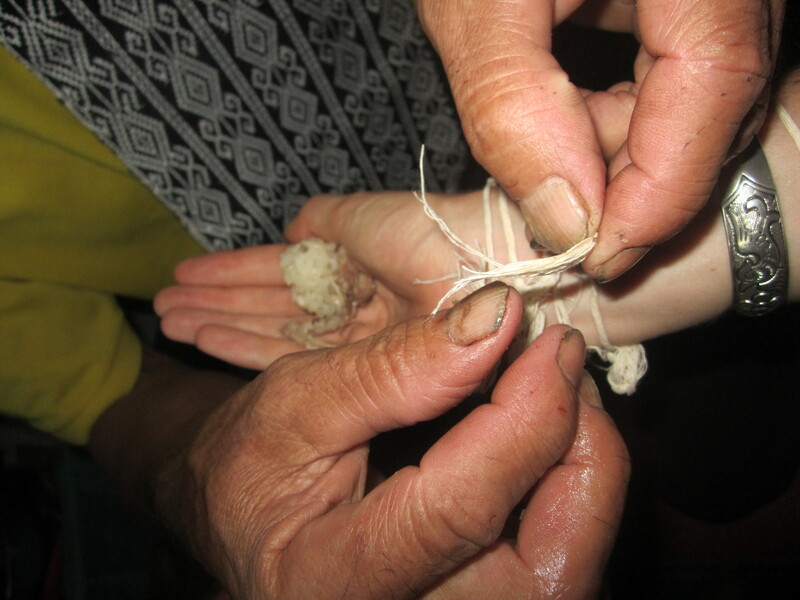 “It helps the local people make money,” our tour guide explained. “Do they make the bracelets from harvested UXOs?” I asked. He nodded again, this time more reluctantly. I slid the bracelet off and placed it back down. 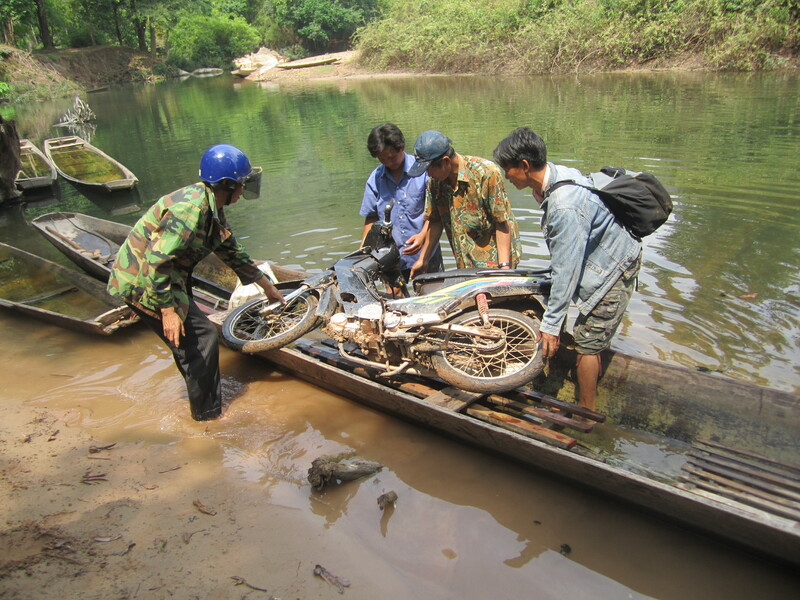 Our tour continued on bumpy muddy roads. We trailed one other 6-person group, but largely had the sites to ourselves. 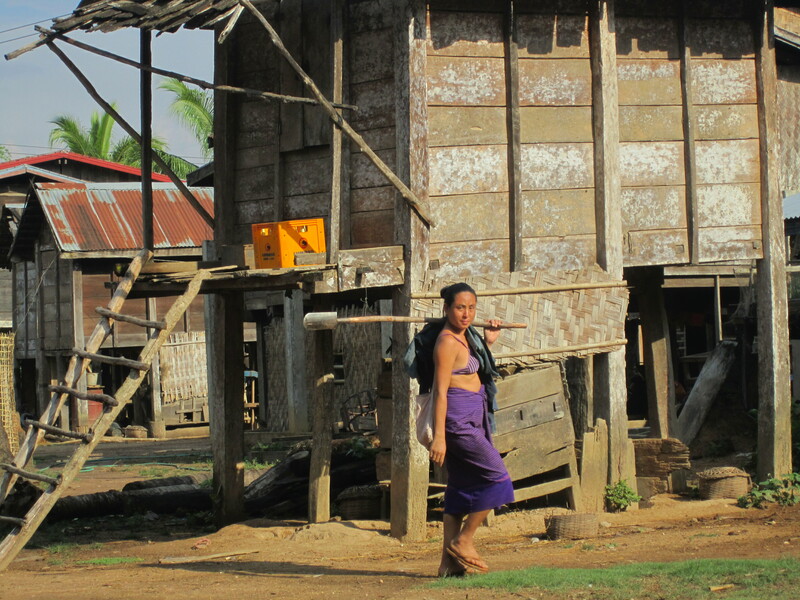 To get to one of the sites, we tromped through rain-soaked rice fields, down wooden slats and past families bathing in brown water. Tourists, our guide told us, had only been coming to the sites in the last few years. There were plans to pave the roads, our guide told us; an international airport would soon open near the town. Only 15 sites of jar sites were currently open; several more were being de-mined. You got the feeling that mass tourism was just around the corner. I thought of Craters Restaurant and cringed. Tourism can bring a lot of good to a community. Phonsavan is poised to become more wealthy because of it. But I thought of the children I’d seen in Bomb Harvest, carefully digging through the earth, crude metal detectors and frightened eyes, and wondered at what cost. It’s hard to always be informed about where your tourist dollars go. Over lunch, I had a long discussion with a British couple about their experience volunteering at a “real” elephant sanctuary in Thailand. They told me about the farcical nature of most eco-parks, how the Thai government worked to block the release of information about the real conditions of the animals, information that would surely hinder the precious money brought in by Westerns who unwittingly wanted to ride elephants. They nodded. I leaned slightly and slurped another mouthful of rice noodles. 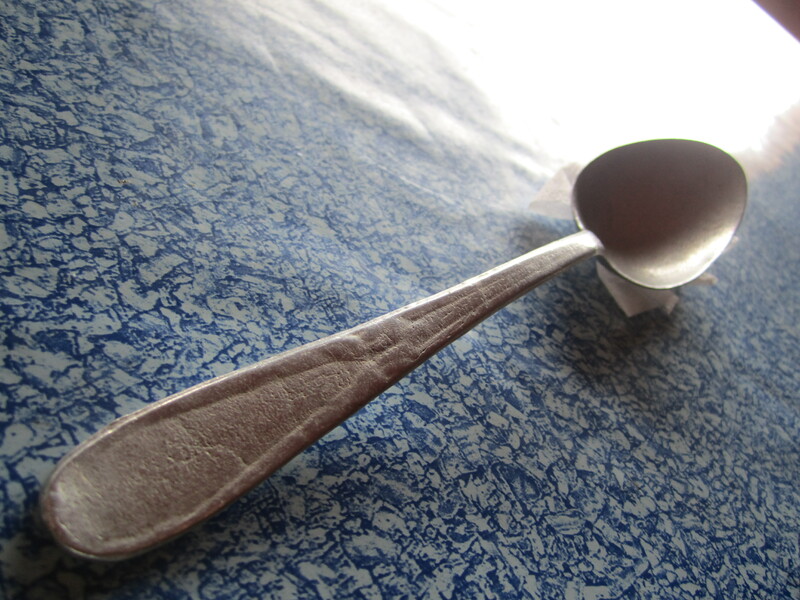 My spoon, I realized, thumbing its texture, was made of scrap metal. Phonsavan is well-connected to provincial capitals and tourist destinations. 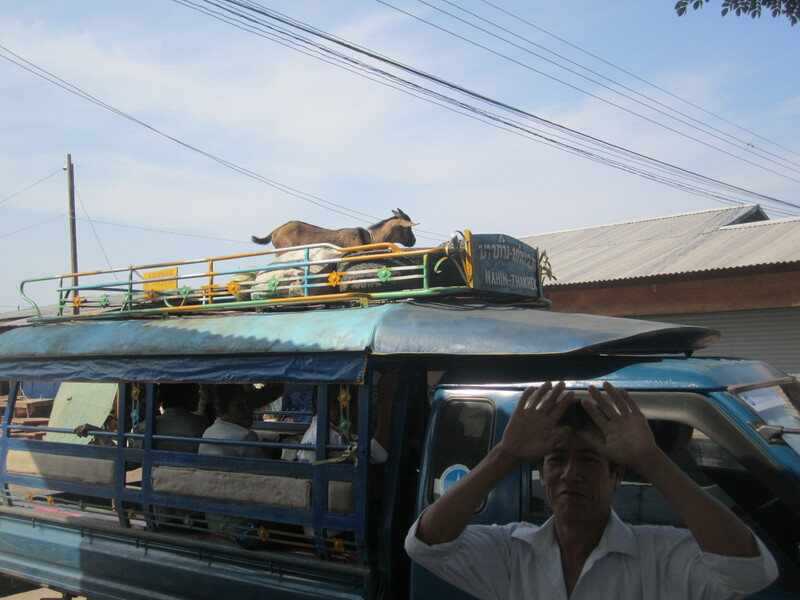 I took a minivan from Luang Prabang, a bumpy and cramped 7-hour affairs; a bus would have been 9 hours. 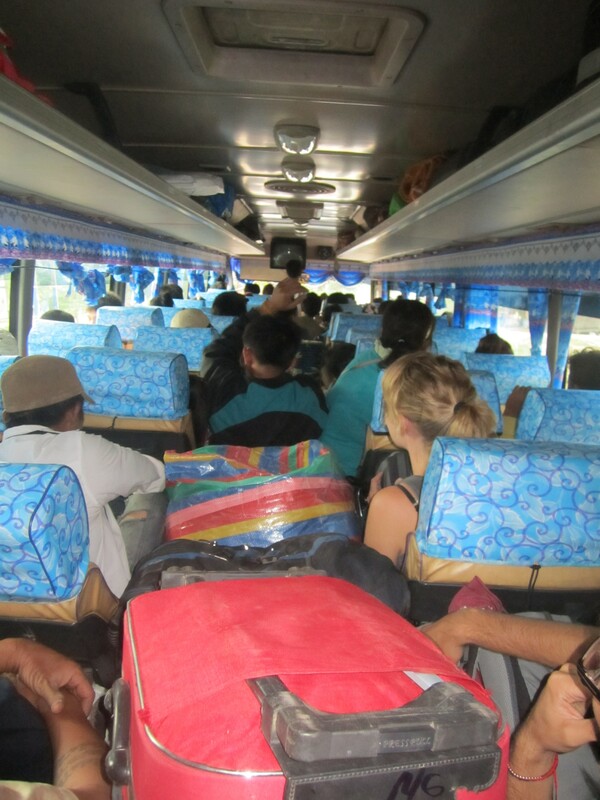 I took the overnight VIP bus back to Vientiane, getting about 2 hours total of sleep. 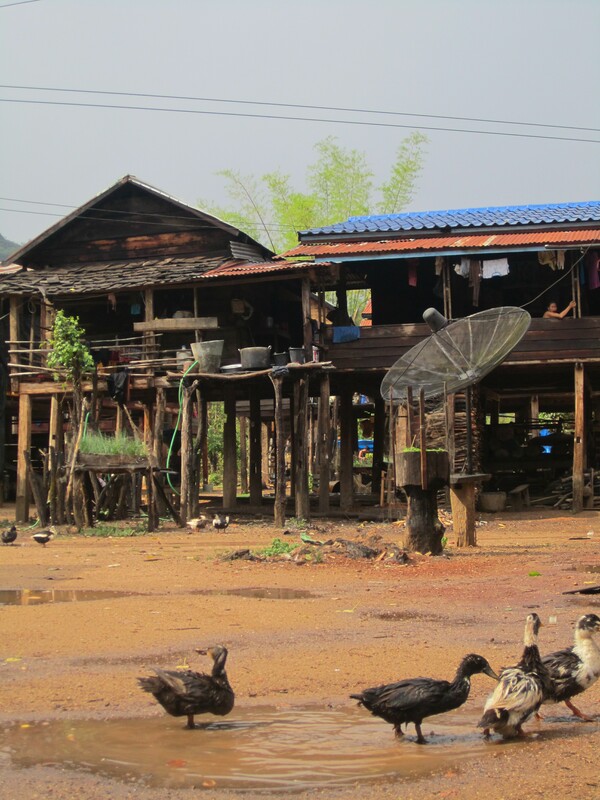 Guesthouses are in a sad state in Phonsavan, especially in the budget range. 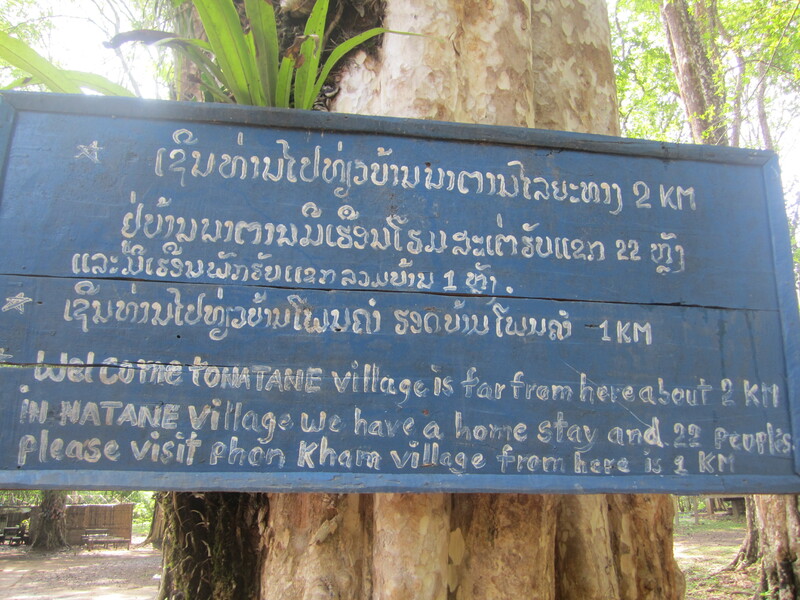 I ended up at the LP-recommended Kong Keo Guesthouse. It wasn’t great by any means and I’d read some sketchy things about the owner, but after checking out three other guesthouses, it was still the least squalid. A tour of the Plain of Jars sites seems to be the best option, especially if you can buddy up with some people. The sites are pretty far apart, so you’ll need some transport anyway. We paid 150,000 kip (little under $20) each for a group of six, which included lunch. 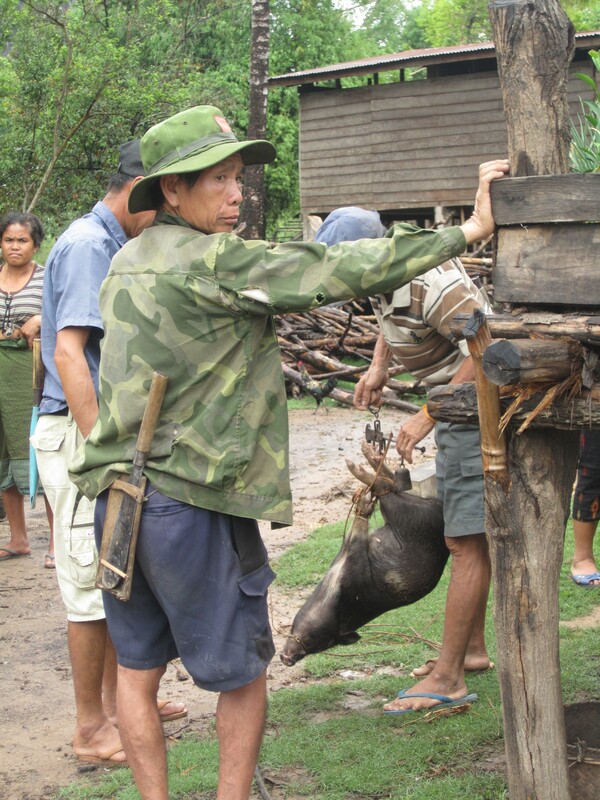 The guide was knowledgeable, and there’s plenty of outfitters to chose from. 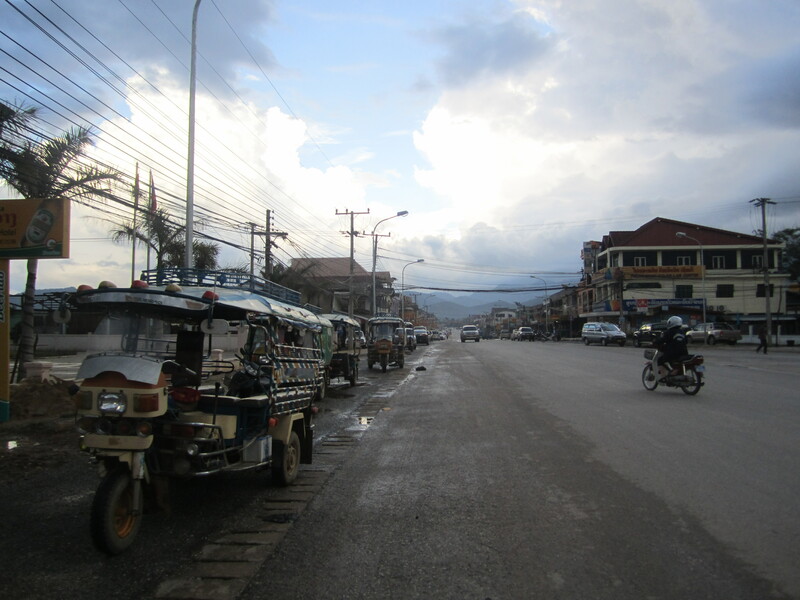 Fellow travelers tend to be pretty friendly and less Spring-Break-ish than the backpackers I’d encountered in Vientiane and Luang Prabang, so teaming up should be easy. 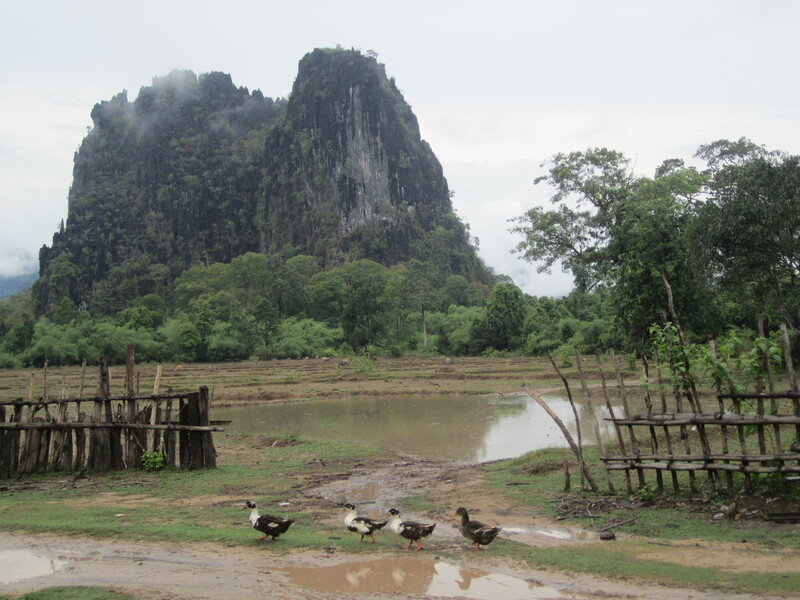 Definitely visit in the dry season, until the roads are paved and facilities modernized; it was super muddy, and Site 3 becomes impassable during the rainy season. The only Wifi I found in the town was at the Western and fairly decent Vanaloun Cafe, along the main drag. Wifi is free, espresso drinks passable, and the breakfast was actually pretty good and not too expensive. They also have a small guesthouse. Might be worth checking out, though a girl I met in the cafe told me she couldn’t ever find the shower.